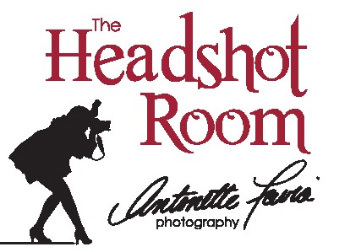 Having your headshot photo taken by Antonette Favia Photography will set you apart from the rest. Professional Headshots make a distinctive and lasting impression. Having A Professional Head Shot taken will leave a great impression for your Company Website, your Linked in profile, your Facebook Page and more. Here are a few notes and suggestions for you. Solid colors are best. Avoid noisy prints and shiny material. Choose colors that bring out your eye color. Long sleeves are recommended over short sleeves. It is important that your jacket, shirt, or dress fits well in the arms and shoulders. Avoid blingy, sparkly jewelry. If you want to wear jewelry, keep it simple and clean. Even though a head shot only reveals the top half of your body, wear shoes that you are comfortable standing in. Ladies: A professional make up session is highly recommended. I can arrange for a make up artist and /or a hair stylist to be here at your request. Also, you’ll want to avoid low cleavage for corporate photos. A couple days before your photo shoot be sure to eat, sleep and drink lots of water! This will help your skin look its best. The anxiety that being in front of a camera brings for many is not unusual. I am prepared to coach you through your photo shoot. You will have an image of yourself that you are very happy with and proud to share. I look forward to working with you!